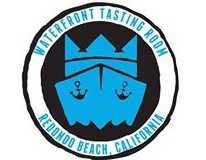 The King Harbor Waterfront Tasting Room is a satellite ‘tasting room’ for the King Harbor Brewing Company. The Waterfront Tasting Room offers 10 beers on tap consisting of pilot batches, seasonal beers, local favorites and special releases. If you find a beer that you really like, you can even take it home with you in a growler!